So, this is my first outfit post, which I think is pretty exciting. 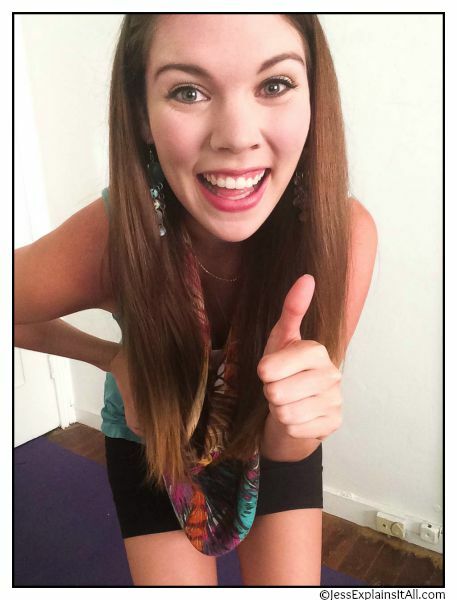 (See the thumbs up? Yeah, definitely exciting!) I’ve been reading so many posts lately about a having a minimalist wardrobe and what your “wardrobe essentials” should be. Don’t get me wrong, I love those posts (and you’ll probably see me doing some of them later) – but sometimes I don’t want to focus on essentials…I want to focus on something fun, like a wildcard! Hence, this Wardrobe Wildcard post. 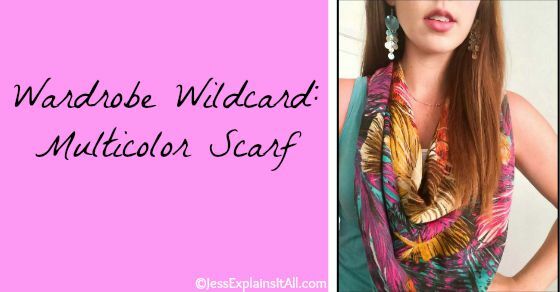 So my wildcard for today’s post is a Multicolor Scarf that I got from Anthropologie a few years ago. I couldn’t find the exact link for the scarf I’m wearing, but I’ve managed to find two that are similar here and here. 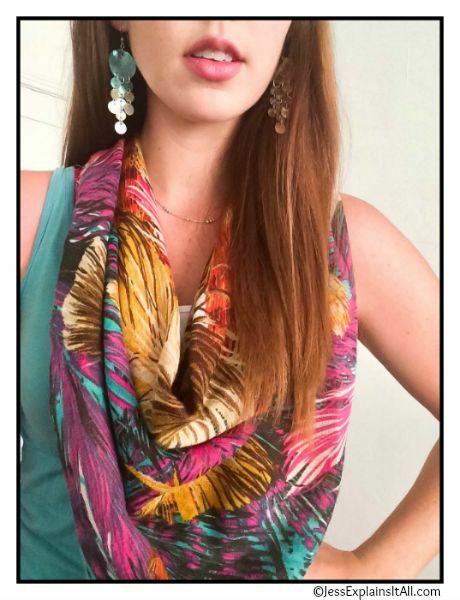 The reason that I like this multicolor scarf so much is that once you’ve settled on this one piece of your outfit, the rest is super simple to put together. I like to stick to solid colors for the rest of the outfit so that it doesn’t clash too much. A trusty black bandage skirt (similar here) is always a go-to piece for me when using this much color. Then I can be a little more bright with the other pieces, like my teal shirt (similar here)! I chose the teal shirt because that color is also in the scarf, but as you can see, if I didn’t have teal, I would have a lot of other options too. That’s why a multicolor scarf is so great! For my other accessories, I tend to go pretty light, because I don’t want to look like there’s too much going on in my outfit. I threw on some purple booties (similar here) to match the scarf and dress it up a little. I normally do sandals, but I thought a small heel might be nice too. Then I threw on some dangly earrings (similar here) and a huge smile – and I was done! 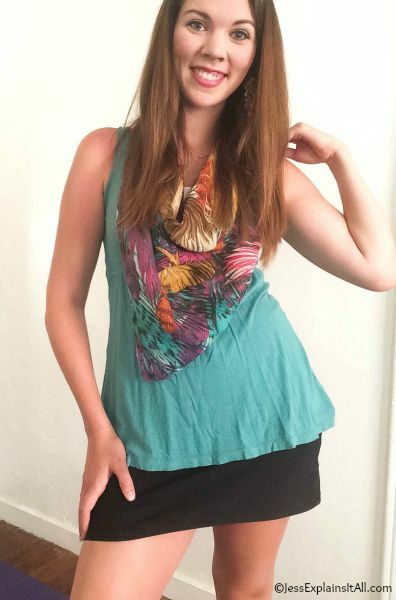 The earrings I’m wearing are made out of shells that are two different colors – one is teal and the other is more of a cream color, but since both of those colors are in the scarf the two pieces go nicely together. There you have it! My first outfit post – a wardrobe wildcard! 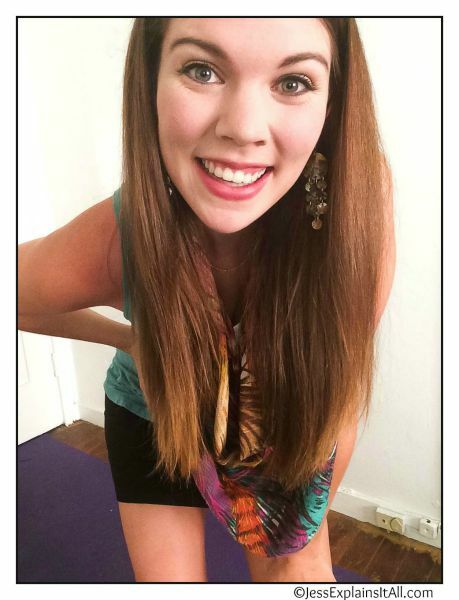 Hope you enjoyed reading it, and are starting to think about ways to dress up some of your own wardrobe wildcards. 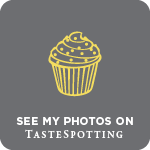 so glad I stumbled upon your blog this morning! 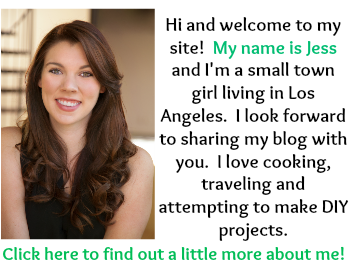 I grew up in LA, so I always love finding hometown bloggers. The scarf is super cute! Love infinity scarves. I’m glad you like it! I just moved out to LA a couple years ago so I’m bouncing all over the city trying very hard to do everything here (and of course eat everything here)! Let me know if you have any favorite spots! And thank you! The scarf is really light, so it’s not too hot to wear – even during our endless summer. Love the look of that scarf. It adds so much to the outfit! Thank you! I think a little pop of color goes a long way!